Easy Ways To Decorate Your Planner Without Spending A Fortune! Discovering the world of pretty planning is just like being a kid and walking into a lolly shop! You just want to buy ALL. THE. THINGS! I have joined lots of Facebook planning groups as I am continually blown away by how creative people can be, and I really enjoy my Sunday mornings that I spend decorating for the week ahead. BUT, every day without fail though I see a post on something gorgeous that someone bought and I add it to my mental list of must haves/wants. When I first got my Happy Planner I went a little crazy buying things. It is simply so addictive and unless you have an unlimited budget, this hobby could easily send you broke. Living in Australia has saved me from many a splurge as our weaker dollar and expensive shipping fees make me say NO to many temptations. I am also a bargain queen and very rarely pay full price for anything if I can avoid it. So I have found plenty of ways to make my planner look really lovely without having to spend a fortune each week. 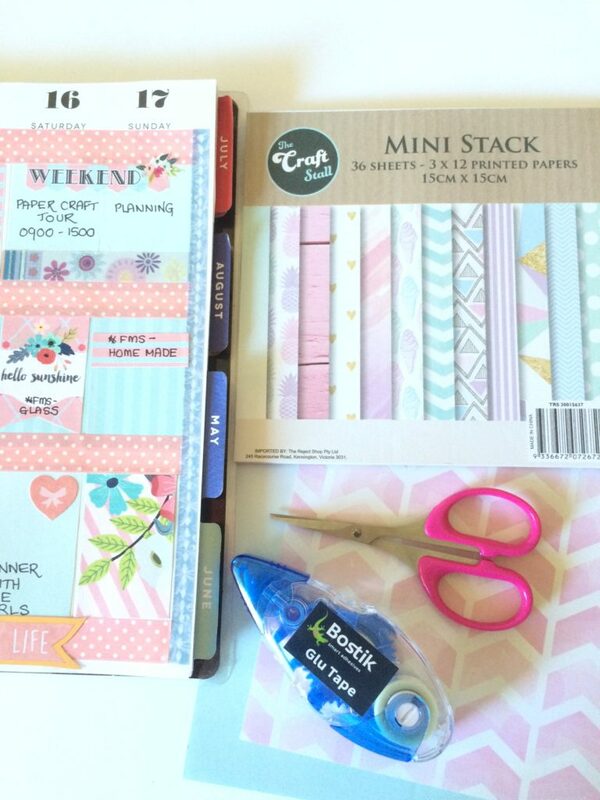 Anything made from paper that you have lying around the house can be used in your planner. 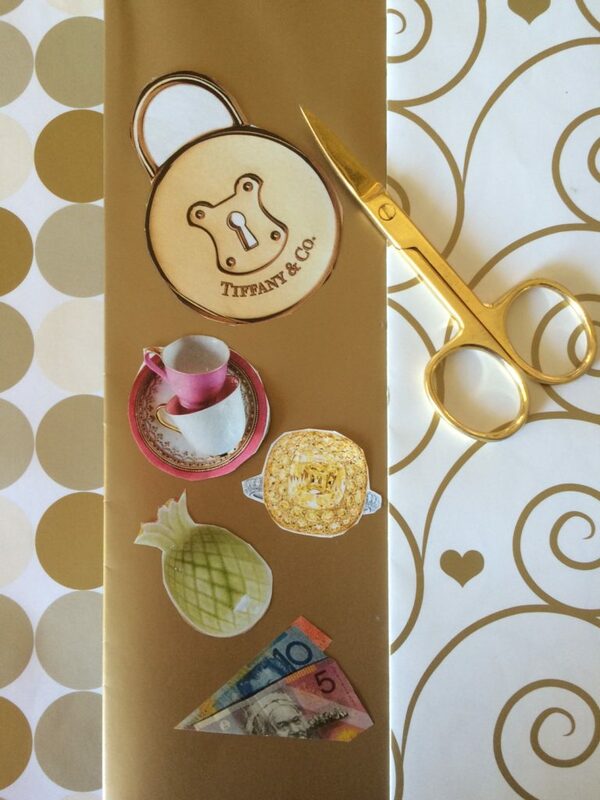 Gift Wrap – Can be cut into rectangles to fill boxes or strips to be used instead of washi tape. Greeting Cards – Don’t throw out greeting cards, cut pretty images off them and use instead of stickers. Magazines – Are full of images and words that can be cut out and used. TIP – When cutting out round shapes use a small pair of nail scissors that are rounded for more neat cuts. Scrapbooking paper pads are so cheap and come in a huge selection of colours. A pad of 36 sheets that are 15 x 15 cm costs $3.00 and for each sheet I can cover 9 full squares in my Happy Planner. That is 324 ‘stickers’ for a total of $3.00! I use this paper all the time when the weekend colour scheme printed in my planner does not blend nicely with the colours I want to decorate with. You can also use a hole punch to make small circles to use for bullet dots on your to-do/check lists. TIP – Use roll on glue to stick paper down as it goes on so thin and neatly that you don’t risk getting gluggly bits mess up your page. 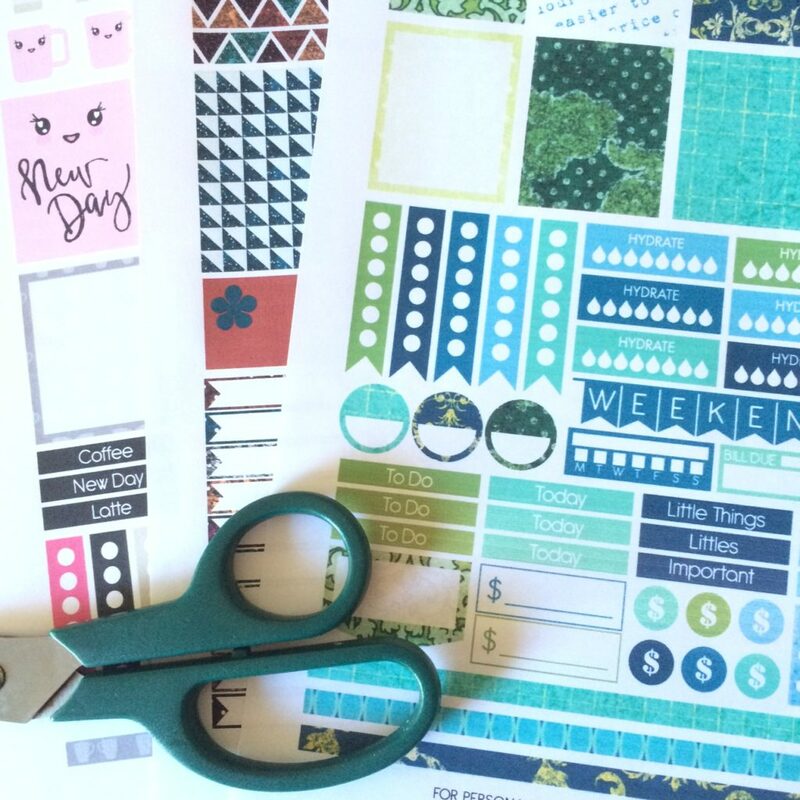 Every week I use a sheet of free printables to decorate my planner. I have bought a box of blank printable sheets and was going to use them to make my own stickers, but each week I just print them on to normal paper and cut them out. It only takes a few minutes and this has saved me a fortune. I have got a lot of my free printables from Facebook groups, but I also have over 500 planning printables and ideas on my Pretty Planning Pinterest page, please feel free to follow it for a huge collection of freebies and awesome planning ideas. Here’s to happy planning and saving some money along the way. 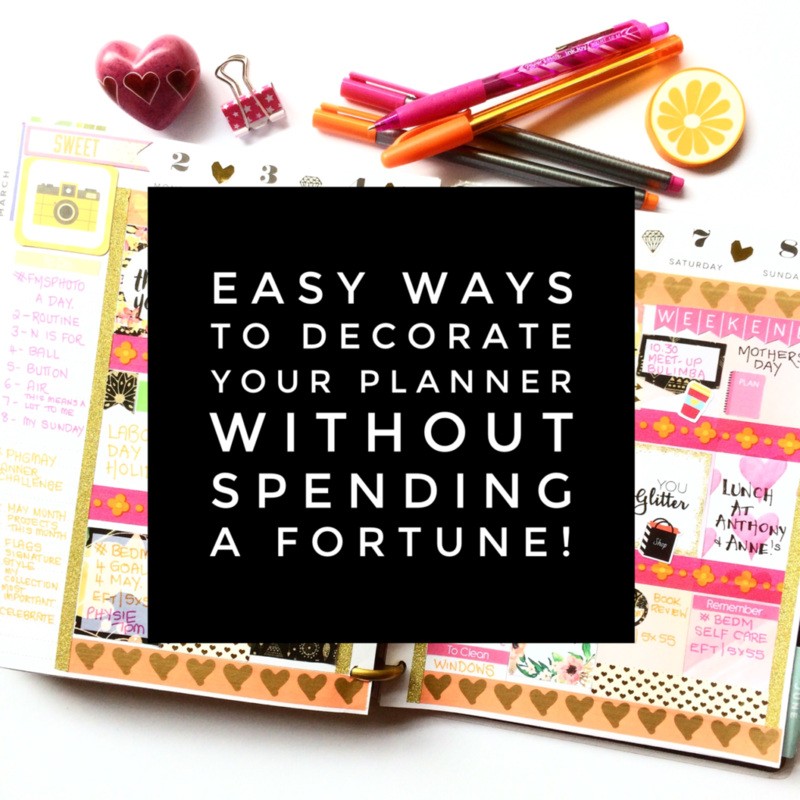 What is your favourite way to not blow the budget when decorating your planner?